The American Civil Liberties Union continued voicing its concern about the use of domestic drones Thursday, summarizing legislation efforts in an article titled, Drone Legislation: What's Being Proposed in the States?. The nonprofit activist organization also sent out emails urging recipients to take the situation seriously with subject lines reading, “Drones are like puppies (they'll follow you home).” The email addressed such issues as the use of unmanned aerial craft as surveillance tools by law enforcement agencies. Drone Legislation, authored by ACLU advocacy and policy strategist Allie Bohm, detailed bills pending that include a variety of issues and contingencies, such as conditions dictating if or when domestic drones may eavesdrop or be equipped with weapons. Lawmakers are exploring such issues as the extent warrants will be required, and to what extents information may be used or stored when obtained accidentally. Circumstances surrounding photography, electronic data collection and similar complexities are at the center of debate. Bohm pointed out how the approach to such issues differs greatly from state to state, as do some of the items up for discussion. Virginia, for instance, shot down a bill that prohibited drones from keeping tabs on hunters on private land, while California might offer tax breaks for drone manufacturers. Georgia, meanwhile, passed resolutions praising drone development. The ACLU reported that the Federal Aviation Adminstration estimated that as many as 30,000 drones could be filling American airspace by the end of the decade. I am currently in the process of researching the Casselberry July 4, 2004 incident. Please contact me if you are a witness or interested party. Confidentiality will be respected. The evening of July 4, 2004, the Orlando, Fla. suburb of Casselberry was the site of an incident described by initial witnesses as extraordinary. Approximately 9 p.m. a bright flash lit up the night and was followed by a lingering boom. While some suggested it was no more than lightning, others were insulted by the possible explanation, saying they never saw any such lightning before. Yet others claimed to believe some type of object fell or crashed, and some went as far as to state on Internet message boards and similar sites that NASA personnel were dispatched to the area. Reports were submitted to UFO-related organizations and conspiracies were alleged. Have a story to tell? Let me hear from you. CNN reported that an unmanned drone flew within 200 feet of a commercial airliner Monday. The Alitalia aircraft was flying over New York at 1750 feet and approaching JFK International Airport when the incident occurred. The FAA and FBI are investigating, as the operator of the drone is unknown. The FBI released a statement saying the unmanned aircraft was black, no more than three feet wide and had four propellers. 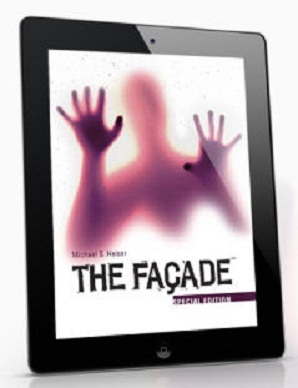 I recently purchased and read the novel, The Facade, written by Dr. Michael S. Heiser. 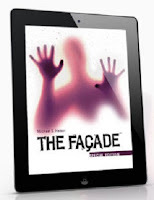 The book is a supernatural thriller starring the UFO phenomenon. Part One of my two-part post on the subject is a review of the novel, which I highly recommend purchasing. Part Two contains an interview with the author and biblical scholar, Dr. Heiser, which includes his comments on such topics as the possibilities of an advanced non-human intelligence, the powers that be and his experience within ufology.